I’m excited to announce that Themify has released another awesome theme – Themify Shoppe. Designed by Liam McKay and coded by Themify team, Shoppe works hand-in-hand with WooCommerce, making it the ultimate multi-purpose eCommerce theme. 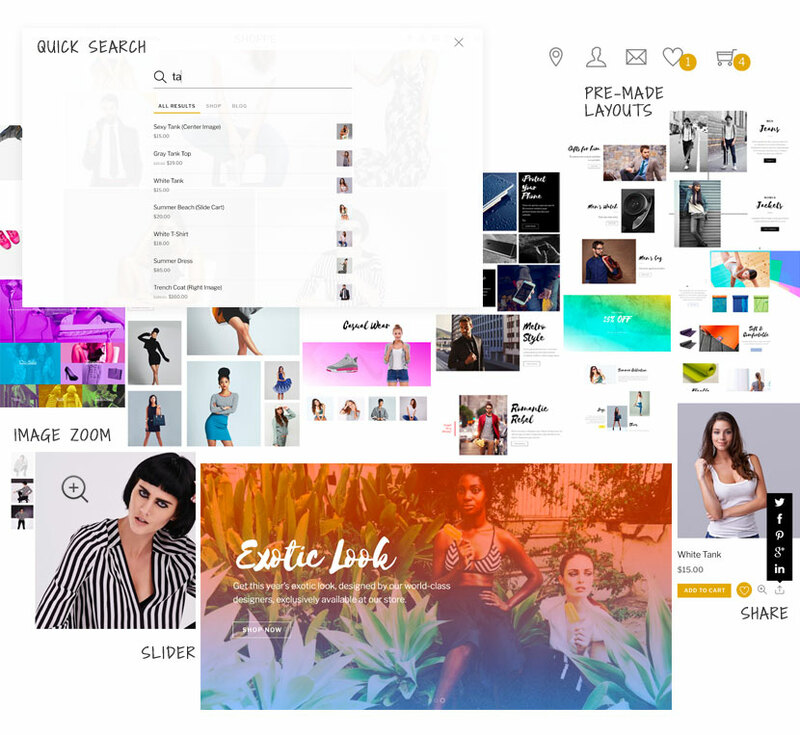 It features the popular drag and drop Themify Builder that can help you design and build your online store to your exact specifications. But if you’re on the go, the instant demo import will create your shop for you within minutes. Themify Shoppe includes popular shop features such as quick look, wishlist, Ajax add-to-cart, slide-cart, product gallery slider, product image zoom, social share, and mega menu. One of the most powerful features is the quick search which allows users to search for products and/or blog posts instantly on the site. If you use WordPress for client work sites, then you would love the various header and footer layouts available in Shoppe. You can define the header/footer layout either site-wise or on individual pages. When you purchase Shoppe, it comes with over 11 free Builder Addons which is valued at over $100. Priced at $49, Shoppe is a steal to launch your ecommerce site. Simply because you are our readers, we would like to offer you an exclusive 50% discount to get Shoppe. Use this coupon code to checkout: SHOPPEWDW. what is the font that says ”shoppe”?? ?